Is LinkedIn the New Resume? Have you been asked to share your LinkedIn profile with recruiters? This should not come as a surprise to you. Not only does this amazing platform allow you to create a profile to depict your professional capabilities, but it allows you to connect with influencers as well as with organizations. Think of it as a Facebook for professionals, but with really good scope in terms of business prospects. With such versatility and easy access, why would recruiters want to review your resume in the first place? Anyone looking at a LinkedIn Profile can make a quick assessment of whether or not a person looks competent and is worthy of interview etc. A lot of it depends on the “completeness” of the profile and the recommendations / reviews that a profile is able to get. Moreover, your involvement on the LinkedIn platform is also analysed by recruiters before they make up their mind. I guess, the whole social scenario and possibility of showcasing your work makes this a really lucrative platform for job seekers as well as recruiters. Have you checked out the “job search” feature on LinkedIn? It is a really cool way in which companies post their job requirements and ask job seekers to apply with their profiles. However, it is of utmost importance that profile creation be taken seriously. Being cheeky may not work out well in this platform and you could lose some really good opportunities that come your way. Most users think that spicing up their profile with exotic bullets and other hieroglyphs might make their profile more appealing. On the contrary, it only damages the worth of your profile. Just take a look at the profiles of achievers and influencers. See the way they have presented and formatted the content on their profile. Personal branding is no longer a necessity, it is a mandatory element for every LinkedIn user. You never know who may come across your profile while browsing through this amazing platform. One of the most significant benefits of LinkedIn is that it is multi-dimensional apart from being dynamic. This means that you can show your worth to the recruiters with the help of your professional network and the relevance of your skills and abilities to your job profile. LinkedIn has forced all of us to think in pure marketing terms and this is most evident in the Summary. Just like you would write a summary in your resume, it is important to provide a summary with your profile. But this needs to stand out from the crowd and make a powerful and compelling statement about your professional worth. 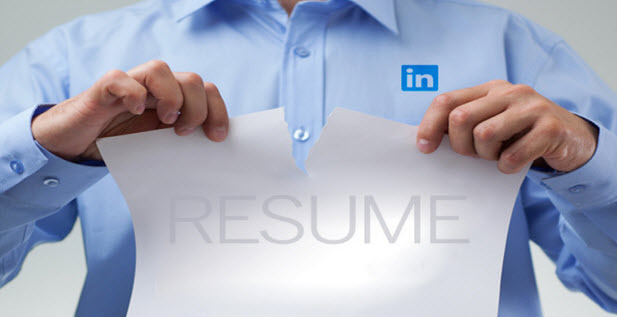 While resume still holds importance in the recruitment scenario, LinkedIn is taking over as the next resume standard. Probably this is the reason behind LinkedIn’s feature which allows you to create a resume based on the information presented in your profile. However, it would be better to get your profile written by a professional resume writer as the information presented there needs to be crisp and at par with global standards. Once your profile goes live, it would become available for the world to see. If you haven’t brushed up your LinkedIn profile yet, then do it now. There may be numerous job opportunities waiting for you.